Stephen A. Smith showing VOLS a ton of love today on his show. I'm still pissed about how we showed up (or didn't) on Sunday but I will say, all things considered, it probably gave us the best opportunity to make a run in the Tournament. Shew I'm getting excite to watch these VOLS this week. Imo this team should make the Elite 8 to consider this a successful season; regardless, this group has been a joy to watch and seem like a great group of young men who represent themselves and the University well. March is a lot about guard play and matchups and I like our guards and feel like UT can play any style as long as the adjustments are early enough in the game. This is just my opinion, but I think this team goes as Admiral and Bowden go--especially Admiral. I feel like he gets going when he sees a mid-range shot or layup go thru the net in the first few minutes and it is extremely noticeable when he disappears. Bowden is the same to a lesser extent...I just really like watching him shoot and he's gotten better about driving the ball and trying to finish at the rim. I'm certainly not discounting Grant or Bone, just think those guys are as consistent as anyone and will get theirs. Depth might be an issue from a foul trouble standpoint, but think these guys will get enough rest between games to be fine. GBO lets get to Minneapolis (pls Jewish god). 4 out of 5 dentists recommend Colgate go frick themselves. Recruiting is on the back-burner at this time of year, but the Vols continue to be involved with tons of big names in the 2020 class. Don’t look for any kind of decision soon but we’ve picked up some good vibes recently about where Tennessee stands with Keon Johnson, the No. 34 ranked player in the nation. With Corey Walker Jr. (No. 29) already in the fold, adding Johnson would give the Vols a pair of borderline five-star prospects with prospects like Jaden Springer (No. 1) and Walker Kessler remaining realistic possibilities. Going deeper into the 2021 class, one name we’ve mentioned before is Greensboro, N.C. point guard Cam Hayes. Currently ranked No. 16 in his class he’s a guy that Tennessee has made a priority and has some traction with based off recent rumblings. One thing to keep an eye on with Hayes is that there’s a strong possibility he could reclassify into the 2020 class. 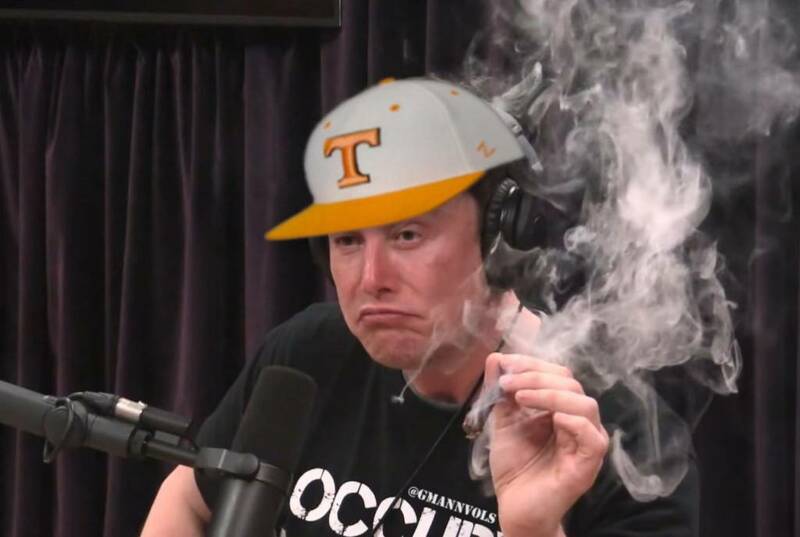 If that comes to pass that’s yet another 5-star the Vols are in deep with in that class, truly a remarkable turnaround on the recruiting front from where things where two years ago. Little known fact: Colgate is the best shooting team in the country since February 1. Widely known fact: Tennessee's 3-point defense isn't good. So there you have it. Those two things were highly miscible today and resulted in a close game. A win is a win. Bad feels about this one tomorrow...not because I think Iowa is good (they aren’t), just feels like one of those matchups where VOLS get lulled to sleep and piss on our own nuts during crucial times. I am just waiting for my heart to stop during one of these VOLS games. Dale Earnhardt (RIP in peace) came to me in a dream last night and said VOLS won’t be losing until the Final Four. Damn, I sure hope Dale is right. I can't even handle basketball anymore. Tennessee’s opening round games in the 2019 NCAA Tournament were more about surviving than excelling but in the big dance, all that matters is that you come away with a victory, no matter how ugly it may look at times. By beating No. 15 seed Colgate and No. 10 seed Iowa over the weekend, the Volunteers punched their ticket to the Sweet 16 and now face No. 3 seed Purdue for the right to advance to the Elite 8. After Tennessee struggled to beat the Hawkeyes on Sunday, despite racing to an early 25-point lead in the game, many are out on the Vols heading into the round of 16. However, according to the research of ESPN’s Chris Fallica, history suggests Tennessee will be marching on to the Elite 8 on Thursday night. “Tennessee is the 4th two seed to win each of its first two NCAA Tournament games by single digits. Each of the previous three – 95 Arkansas, 05 Kentucky and 17 Kentucky – all won their Sweet 16 game,” Fallica tweeted out on Tuesday. In addition to that information, Fallica pointed outPurdue coach Matt Painter is 0-7 against top 3 seeds in his career. Those stats don’t guarantee the Vols anything when the ball is tipped on Thursday night but for Tennessee fans nervous about the matchup, at least these stats suggest Rick Barnes’ team will be marching on to the Elite 8 by the time the final whistle blows.